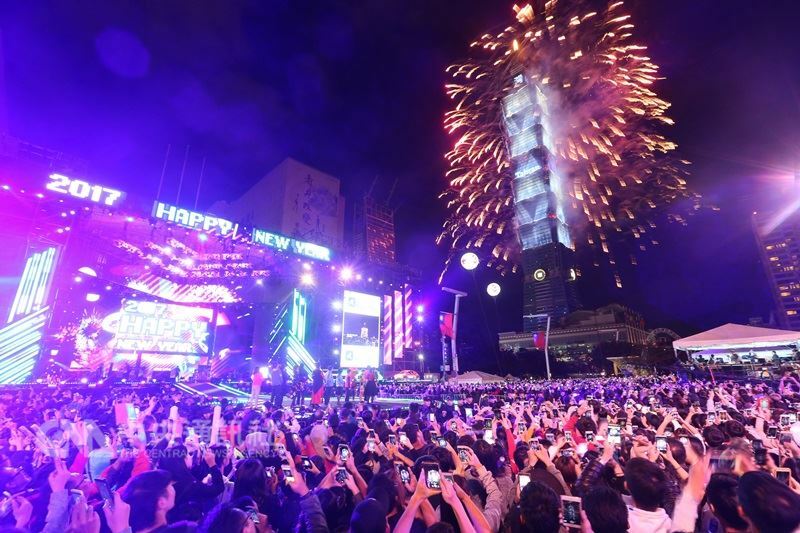 The Taipei New Year's Eve Countdown Party and Taipei 101 fireworks display will be held from 7 p.m. Sunday until 1 a.m. Monday in Taipei City Hall Square and include performances by MJ116 (頑童MJ116), Crowd Lu (盧廣仲), Della Ding (丁噹), NICKTHEREAL, whom is also known as Nick Chou (周湯豪), Weibird (韋禮安), Bii (畢書盡), MinChen (林明禎) and GEmma (鬼鬼/吳映潔). Due to recent concerns over air pollution, the fireworks display has been cut from 30,000 to 16,000 rounds and for the first time ever the event will be integrated with the T-Pad, an approximately 140,000 light-emitting diode (LED) display that covers the 35th-90th floors on the north side of the building. T indicates Time, Taipei and Taiwan, while the T-Pad displays represent "Time for year-end countdown," "Time for New Year," "Time for Taiwan/Taipei" and "Time for 2018." 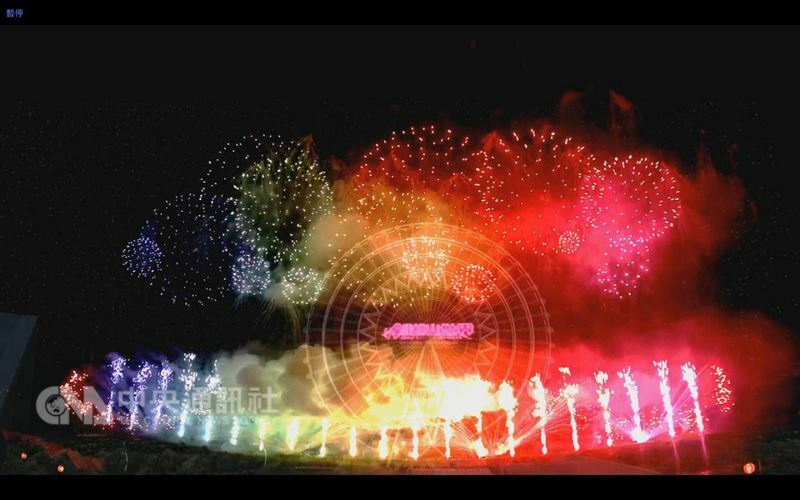 Virtual images of pop divas A-mei (張惠妹) and Anna (安那) performing will also feature in the firework display show. The Miramar Entertainment Park Shining Party in Taipei which will be held in the site's plaza starts at 8 p.m. Sunday and runs through to 12:30 a.m. Monday with performances by Miss Ko (葛仲珊), Shi Shi (孫盛希), Nine Chen (陳零九), Jess Lee (李佳薇), Monique Lin (林慧萍), Spexial and other artists. The fireworks at the party, which is romantically themed, will run for 299 seconds. Keelung City Government's Keelung Rocker party which kicks off at 6:30 p.m. Sunday and runs through to 1:00 a.m. Monday is being held at Keelung Harbor's East Pier No. 3 and No. 4. Fireworks at the event are to be three minutes long with performances from Rusty Rivet (鏽鉚釘樂團), Auntie Roxy (搖滾大嬸樂團), Chang and Lee (張三李四樂團), ZenKwun (神棍樂團), Trash (TRASH樂團), The Chairman (董事長樂團) and others artists. Taoyuan City's News Year's Eve party which will run from 6 p.m. Sunday until 1 a.m. Monday at Taoyuan Arts Plaza will include Jeannie Hsieh (謝金燕), Jessica (潔西卡), Power Station (動力火車), Miu Chu (朱俐靜), Eric Chou (周興哲), NICKTHEREAL, Peter Pan (潘裕文) and MinChen (林明禎). Hsinchu City's New Year's Eve party which will be held from 6:30 p.m. Sunday to 12:30 a.m. Monday in Chutung Township's Ren'ai Carpark will include performances by Andrew Tan (陳勢安), Butterly (愷樂), Fang Wu (吳汶芳), Stanly (許仁杰), Amuyi (呂薔), Mixer (麋先生), Robin Tseng (曾仲瑋), Intertidal zone (潮肩帶) and The Bluebird (青鳥合唱團). 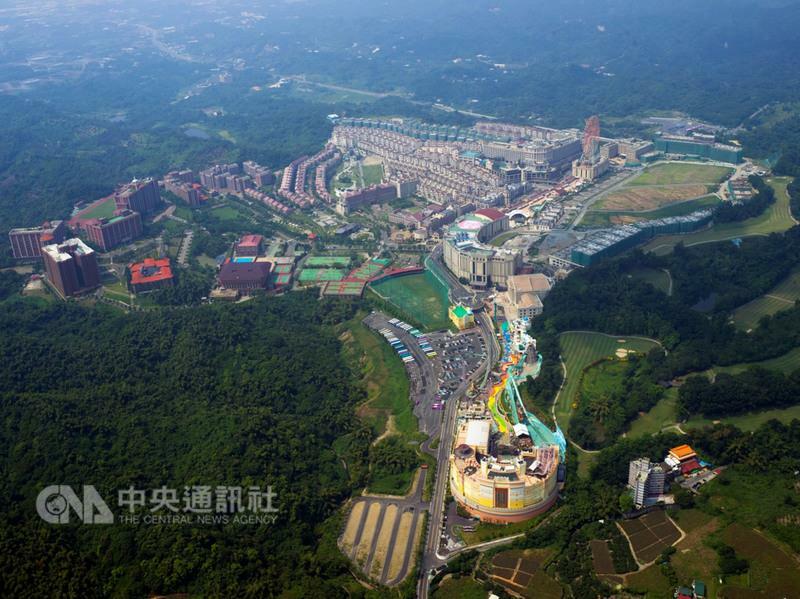 Taichung's Lihpao Land New Year's Eve party which starts at 7:00 p.m. Sunday and runs to 1 a.m. Monday is to be held at the themepark's car park number two and will include performances by Amber An (安心亞), Anna (安那), BOXING, Ian Chen (陳彥允), GTM, JR (紀言愷), Cindy Yen (袁詠琳), Elvis (田亞霍), 831 (八三夭) and 911 (玖壹壹). Taichung's National Taiwan Sport University New Year's Eve party which begins at 7 p.m. Sunday and runs until 1 a.m. Monday will be held on the university campus and include performances by 911 (玖壹壹), NICKTHEREAL, Peter Pan (潘裕文), Princess Ai (戴愛玲), CosmosPeople (宇宙人), A team, Janice Yan (閰奕格), Erika, Eric Chou (周興哲) and David Tao (陶喆). Changhua's New Year's Eve party which is to be held on Xiu'an Road in the county's Xiushui Township will begin at 6 p.m. and run through to 1 a.m. Performers at the event include Liang Wen-yin (梁文音), MATZKA, Dawen (王大文), Elvis (田亞霍), P!SCO, My Skin Against Your Skin (激膚樂團) and A-TEAM. 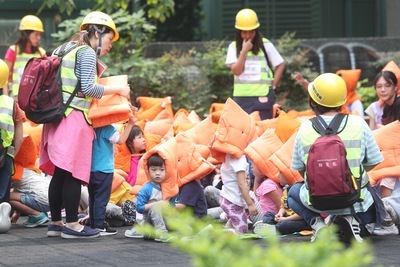 Nantou County's Sun Moon Lake New Year's Eve Fireworks Party which will feature 8 minutes of fireworks will kick off at 6 p.m. Sunday and end at 12:30 a.m. Monday at Shueishe Meihe Garden and Ita Thao Pier. 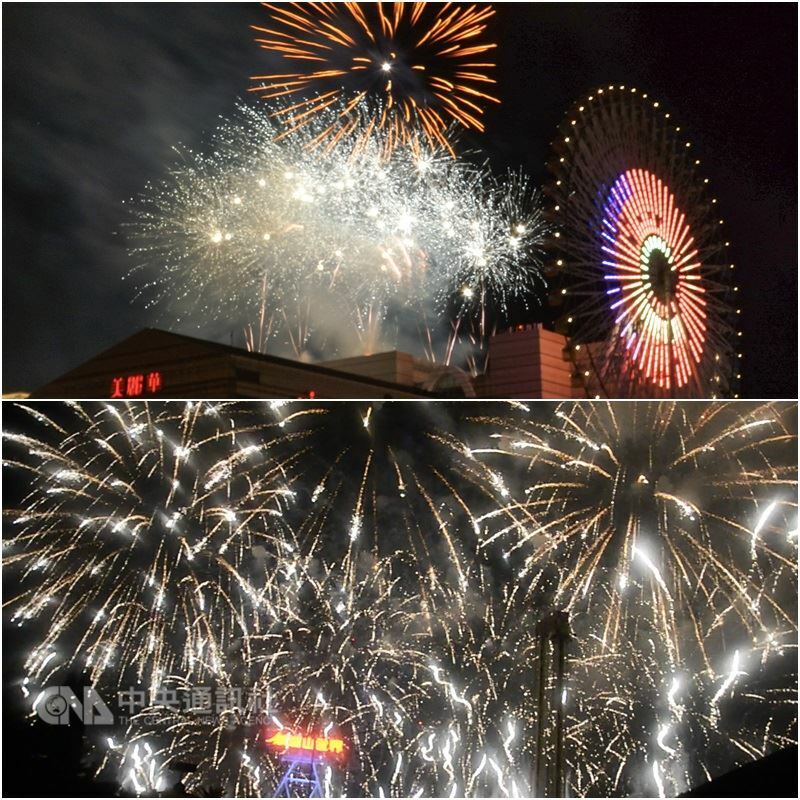 Yunlin's Janfusun Fancyworld New Year's Eve party on Sunday will be held at the theme park and showcase an 11 minute and 11 second fireworks display consisting of 11,111 firework rounds. The event will also include performances by CosmosPeople (宇宙人), Nana Lee (李千娜), Lil Young (李洛洋) and Men Envy Children (小男孩樂團). 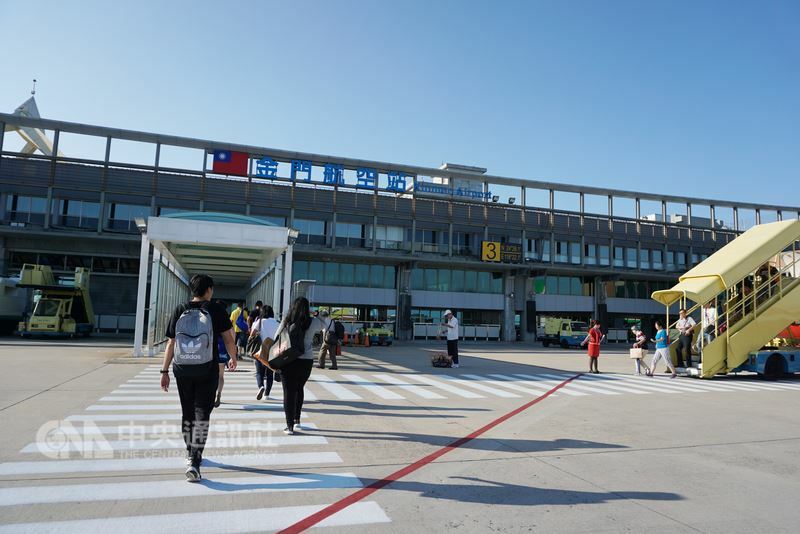 Tainan's New Year's Eve Party will be held from 6 p.m. Sunday until 1 a.m. Monday at the special area of the Taiwan High Speed Rail Tainan Station and include performances by G-Force (大賀兄弟), JiaJia (家家), Nana Lee (李千娜), Dwagie (大支), GBOYSWAG (鼓鼓), GEmma (鬼鬼/吳映潔) and Amber An (安心亞). 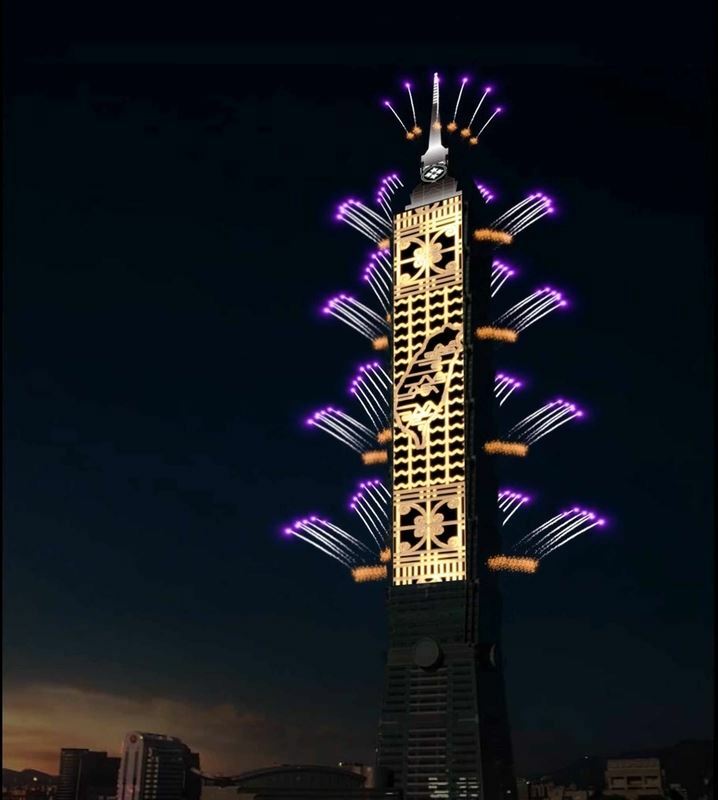 Kaohsiung's E-DA World New Year Eve's party will showcase a 999 seconds fireworks display, the longest in the country. 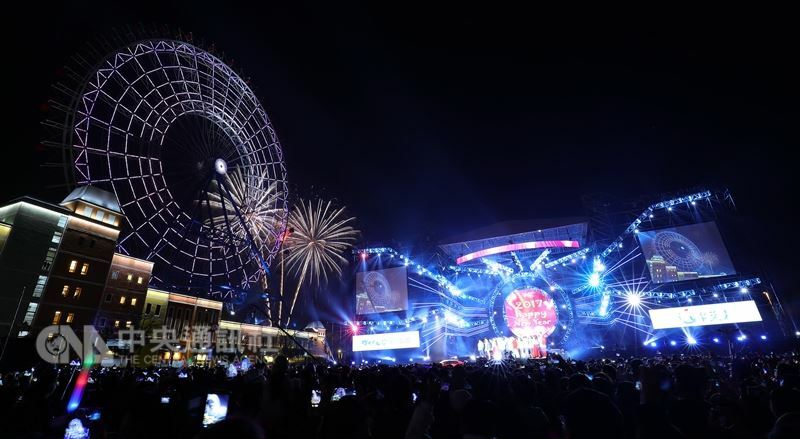 Kaohsiung's Dream Mall New Year's Eve party will kick off at 7 p.m. Sunday and run until 1 a.m. Monday with performances from Jeannie Hsieh (謝金燕), Bii (畢書盡), JiaJia (家家), GBOYSWAG (鼓鼓), 831 (八三夭), Joanne Tseng (曾之喬) and other artists. 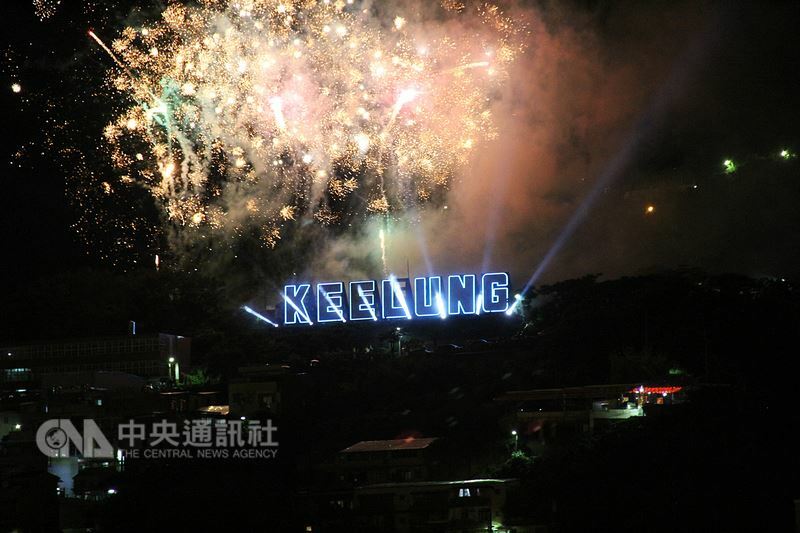 Pingtung's Gonggang Township's New Year Eve party and fireworks display will be held from 8 p.m. Sunday to 12:30 a.m. Monday and is set to include performances by MaYa (秀蘭瑪雅), Jin Lin (林大晉) and ICE MAN. Kinmen's New Year's Eve party will kick off at 8 p.m. and run until 1 a.m. at the plaza space behind Kinmen County Stadium with performances from Tiger Huang (黃小琥), One-Fang (萬芳), Nikita (舒子晨), Uni Yeh (葉瑋庭), Mika Xiang (向蕙玲), Popu Lady and other artists. Matsu's New Year's Eve party which is to be held from 9 p.m. Sunday until 12:10 a.m. Monday will include performances by Dennis Sun (孫自佑), Irene Yeh (葉璦菱) and others.